Nokia is back. The company behind pretty much everyone’s first mobile phone experience, the Finnish manufacturer has started making handsets again three years after it sold its Smartphone division to Microsoft. The Nokia P1 is the latest mobile out from the Finnish Smartphone maker. 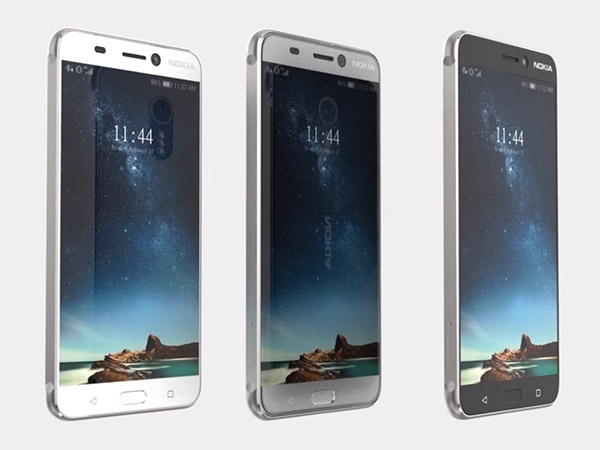 The device features attractive specs bundled in a slim body. The Smartphone makes its mark with rounded edges and is available in black color. The Nokia P1 flaunts good display properties on its 5.4-inch screen. The full HD IPS LCD display comes with a resolution of 1,080 x 1,920 pixels those results from a density of 408 pixels per inch. The capacitive touch screen responds well to multi touch. Under the hood, the Smartphone features a pair of dual-core Kryo processors, each of which clocks speeds of 2.15GHz and 1.59GHz respectively. These powerful cores are placed on a chipset of Qualcomm Snapdragon 820 MSM8996 and is assisted by a good 3GB RAM. Together, they are capable of running high end games and heavy multitasking with ease. Moreover, a GPU of Adreno 530 takes care of the graphical requirements. The Nokia P1 extracts its energy from a 3,000mAh li-polymer battery which promised to render a long period of wake time. The Nokia P1 flaunts a superb pair of cameras in the form of a 22.5MP primary and 8MP selfie camera. The primary camera is further assisted by autofocus, LED flash, ISO control and High Dynamic Range mode to capture images of 5,160 x 3,872 pixels resolution and videos of 3,840 x 2,160 at 30 frames per second. The front camera too proves to be good option for the selfie lovers and video calling addicts. The Smartphone is equipped with an internal storage option of 32GB, which can be further expanded up to 256GB with the help of a microSD.